Located within the restored 1908 Island Center School house, the Bainbridge Island Historical Society and Museum features photos, artifacts, films, and friendly docents interpreting Island history. 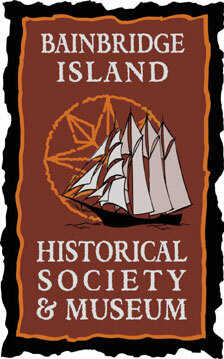 Our newly opened long-term exhibit “An Island Story” is a nationally award winning exhibition. The museum is located at 215 Ericksen Avenue NE, just off of Winslow Way and two blocks from the ferry terminal. For more information, call 206-842-2773, or visit our website.